UPS Education refers the MA Psychology Entrance Notes for those students who cannot attend classroom program due to limited seats. Last chance to join our classes. We have limited seats, group of batches, fully air-condition classroom, smart classes, best Model Question Paper, Sample Question Paper both with answer key, Objective question paper written by: Gold Medalist, distance learning program also available. For admission query you may visit our website or may call at our following details. 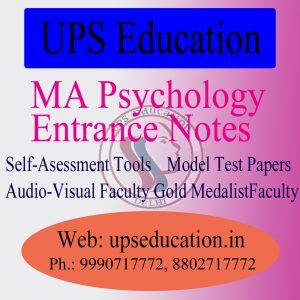 This entry was posted in Best Psychology Institute, MA Psychology Coaching, psychology, psychology book, Psychology Classes, psychology coaching in delhi and tagged MA Psychology, MA Psychology Entrance, MA Psychology Entrance notes on April 22, 2016 by UPS Education. Admission forms are out for MA in Psychology in Central University of South Bihar. 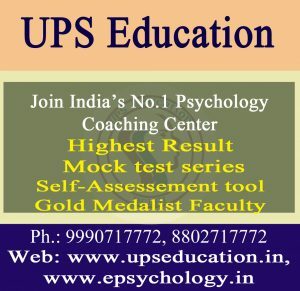 UPS education is No.1 Psychology Coaching Center in for MA Psychology Entrance and other Psychology Entrance Examination; we serve highest results in MA Psychology Entrance in India. Contact us for best psychology classes. 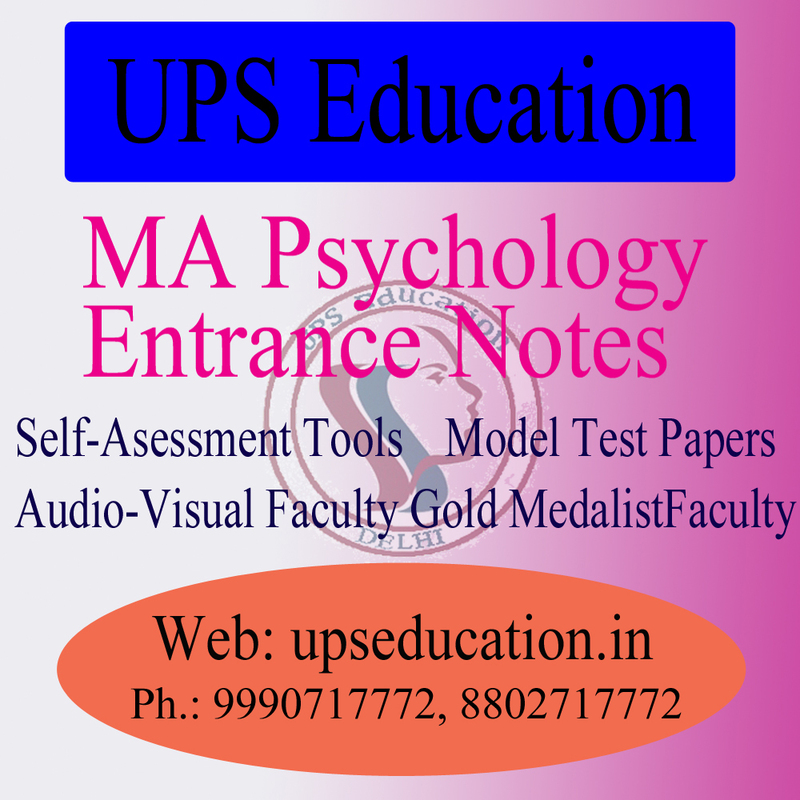 This entry was posted in best psychology coaching classes in delhi, Best Psychology Institute, NET Psychology Coaching, online psychology classes, psychology, psychology book, psychology coaching class, psychology coaching in delhi, UGC NET Psychology Coaching, ups education on April 12, 2016 by UPS Education. UPS Education started new batch for UGC-NET Psychology for june-2016 examination, UPS Education is No.1 Psychology Coaching Center for UGC-NET/JRF Psychology in India, UPS Education also Provide Distance Material for UGC-NET Psychology. 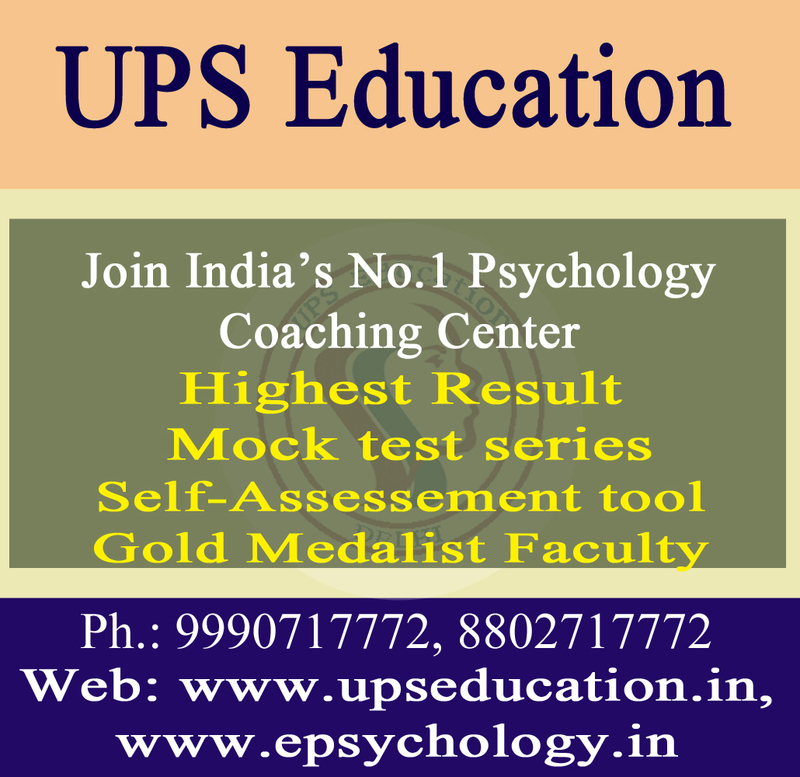 Classes by Gold Medalist faculty, join us today for better future in Psychology. 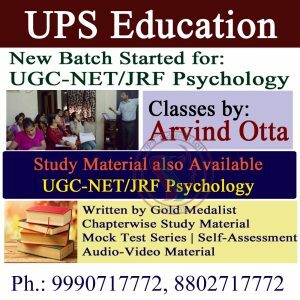 This entry was posted in psychology, psychology book, Psychology Classes, UGC NET Psychology Coaching and tagged material for net psychology, NET Psychology Coaching, ugc net psychology, UGC NET Psychology Coaching on April 11, 2016 by UPS Education.